​It&apos;s hard to beat Monterey County when it comes to wine options. The area is full of scenic valleys that offer an inside look into the beautifully intricate process of winemaking. It&apos;s also a particularly nice setting for some romance, with plenty of wineries in the region offering lovely events for couples! So now’s the time to cleanse your palette, get out a glass, and bring your crush to some of the region’s best wine spots. The River Road Wine Trail calls itself “the most authentic wine experience in the region”...and they aren’t lying. With an assortment of intimate tasting rooms featuring work from the region’s finest wineries, the River Road Wine Trail isn’t to be missed. Enjoy tasting limited-release vintages alongside the actual maker of the wine you’re tasting. Nestled in Smith Vineyard in the heart of the Santa Lucia Highlands, Hahn Family Wines offers delicious wine and unforgettable views that make it a perfect spot for a romantic picnic. And if you find yourself in Carmel-by-the-Sea, Hahn Family Wines has a second location conveniently located in Carmel Plaza. 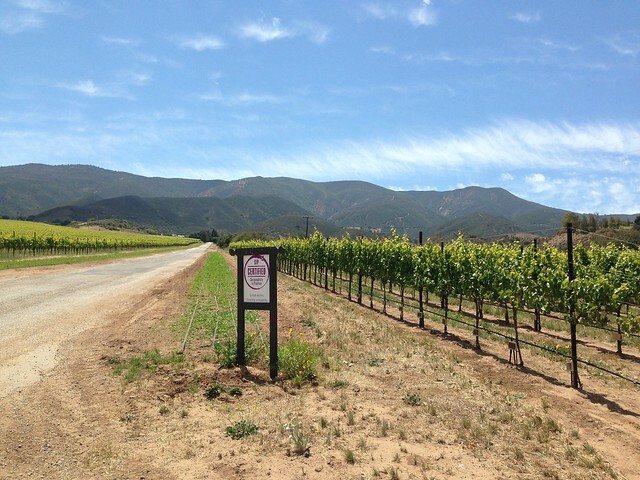 In Soledad to visit the Hahn Family Wines tasting room? See even more of the Santa Lucia Highlands by heading down the street to Wrath Wines. Enjoy their small batches of premium quality pinot noir, then sit on the terrace and take in the view with someone special. This is the premier tour if you&apos;re looking to learn about the history of Salinas Valley winemaking. Owned an operated by a family with decades of history in the area, Behind The Scenes Wine Tours offer a personal look at this vast grape-growing region. With Scheid Vineyards, you have plenty of options. You can enjoy their scenic vineyards set in the heart of the Salinas Valley, or venture to Carmel-by-the-Sea for a sampling in their tasting room. Both locations are relaxed, inviting, and perfect for lovers of handcrafted wine. You and your date can have a relaxing, free-wheeling time on this five-hour trolley ride through delightful Carmel Valley. It&apos;s a fun, intimate ride full of great wine, great food, and lots of fascinating history about the region. Another classic Carmel Valley winery, Bernardus Vineyards specializes in Bordeaux-style red wine, but also features plenty of other tasty options across its many intimate tasting rooms. Located along the gorgeous Carmel River, Folktale Winery stands on 15 acres of sustainably farmed vineyards and gardens that embody that natural beauty of Carmel Valley. You and a loved one can tour their cellar, vineyards or barrel room with an expert, then pair wine with delicious small bites from the winery&apos;s kitchen. With great food and wine and stunning natural beauty, this four-day event in Big Sur is a wine lover’s paradise! Enjoy offerings from local and visiting wineries and restaurateurs while relaxing in the crisp autumn air. Monterey County is a truly year-round destination for wine lovers! With the harvest in full swing, there’s no better time than autumn to sip your way through Monterey County’s vineyards. Pair your wine experience with a romantic meal! Click here for a list of some of the most romantic restaurants in Monterey County.